Antoine + Antonio Duke. Nov. 10, 2012. As a Artist, Performer, Poet, Educator, Spoken word artist, dancer, and director Antoine Duke is indeed a man of many hats. As a 19 year old Performer and teaching artist he has received grants founded companies and has competed nationally as a spoken word artist. He has Founded No Projection, a company that teaches literacy through spoken word and social justice theater, Shaking Fences Hip Hop Dance class, Gages Photography and Dopeimgeclothing. He chooses Social Justice Education through theater and art because he believes that art cannot only teach creative and powerful practices, but also because it can educate us on how to become better human beings. “Art allows you to listen to the world around you and take in other perspective which is not easily done, especially in today’s society.” Antoine got his start in the performing arts, the first time he saw Michael Jackson on “Motown 25th: Yesterday, today, forever: on March 25th 1983.” As he watched through his television in his living room, he was hooked to dance, creating and performing anywhere he could. Since then he has attended conferences and performed in Los Angels, San Francisco, Detroit, Washington DC, Arkansas and Minnesota. He has gone on to teach spoken word and theater in schools (Washburn, Brooklyn Center High), and he has founded “8 Stages,” a program at Pillsbury House Theater in which through theater and spoken word teach youth the culture of violence and how to prevent it. He aspires to found his own Organization “Urban Speaks” which will teach spoken word and social justice theater to youth around the twin cites. His piece for Late Nite will be a one man show he has written entitled “RAGS.” It will include spoken word and dance (Receiving Anger Going on five hundred years of Slavery). The performance will consist of a series of monologues, spoken word performance-poetry, and dance choreography depicting the lifestyles, emotions and lives of 15 African American characters, male and female, who are very diverse in age. “RAGS” will take place in present day Minneapolis and will follow the lives of the fictional Fisher Family. Highly lyrical in nature, each monologue will be a response to the previous monologue and will anchor the performance with a strong central story line interlacing the characters. The piece will highlight the contrasting interpretations of the experiences of different generations of African Americans with the legacy of slavery in America. 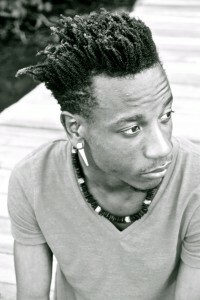 Antonio Duke is a young ambitious actor and playwright. With his acting career he’s recently accomplished finishing filming his first feature film, Death To Prom, where he played Eli. He also just got done with his first leading roll at Stages Theater Company in The Adventures Of Huckleberry Finn where he played Jim. He is also currently choreographing Flow at The Children’s Theater. He has appeared in plays with Penumbra Theater, Pangea World Theater, Climb Theater, Eagle and Rose Theater, and Pillsbury House Theater, and he’s just getting started. Along with his talented brothers Antoine Duke, Lamar and Donte Collins, they were able to get the “Summer 612 Micro Grant” through Pillsbury House Theater for the second time. As a playwright he’s just finished working with Bedlam Theater in there 10 x 10 theater festival with his new play A Cool Breeze. The piece your about to see is called “Searching For keys.” It’s inspired by living in South Side Minneapolis and the many amazing people in his life. The goal of this piece is to try to capture the essences of the human condition and portray that on stage through all the different art forms he practices: acting, dancing, making original music, and spoken word poetry. It will be performed by Antonio Duke and another one of his brothers Donte Collins. 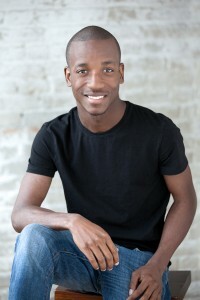 Antonio Duke is a young ambitious actor and playwright. With his acting career he’s recently accomplished finishing filming his first feature film “Death To Prom” where he played Eli. He has also just got done with his first leading roll at Stages Theater Company in “The Adventures Of HuckleberryFinn” where he played Jim. He is also currently choreographing “Flow” at The Children’s Theater. He has appeared in plays with Penumbra Theater,Pangea World Theater,Climb Theater,Eagle and Rose Theater,Pillsbury House Theater, and he’s just getting started. Along with his talented brothers Antoine Duke,Lamar and Donte Collins,they were able to get the “Summer 612 Micro Grant” through Pillsbury House Theater for the second time. As a playwright he’s just finished working with Bedlam Theater in there 10 x 10 theater festival with his new play “A Cool Breeze”. The piece your about to see is called “Searching For keys”its inspired by living in South Side Minneapolis and the many amazing people in his life. The goal of this piece is to try to capture the essences of the human condition and portray that on stage through all the different art forms he practices,acting,dancing,making a original music,and spoken word poetry. It will be performed by Antonio Duke and another one of his brothers Donte Collins. Pamela Sneed. Nov. 10, 2012.